Last week, we shared about our international shipping services. This week, we want to share more details about our domestic shipping services. 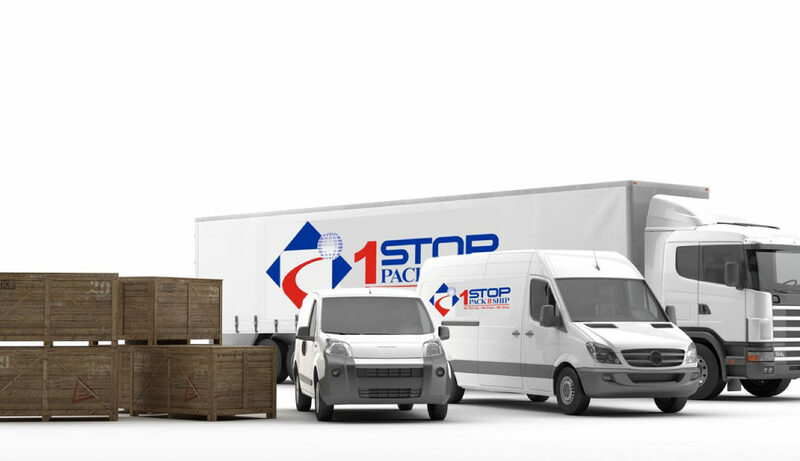 At 1 Stop Pack N Ship, we offer our clients the flexibility to meet all of their shipping needs no matter how far. We want to make sure that our services are all conveniently offered to save them time, money, and energy. If you are moving or looking to ship items domestically, we’ve got you covered. Depending on your individual needs, we’ll work together to come up with a plan that works for you. We work to ensure that our services are all-inclusive and provide you with everything you need in one place. Our goal is to make your move and/or shipping experience as easy and enjoyable as possible. We can ship just about anything! The good thing about working with us is that we take care of all of your shipping needs all in one place. Our domestic shipping can work for your residence or commercial space and we’ll make sure your items are packaged and shipped safely. If you’ve got large items such as industrial equipment, we can handle it. However, we can also handle small day-to-day items that just need to make their way from one place to another. We are also able to ship fine art of all types and ensure that your items arrive safely. Our professionals can ship electronics, antiques, china, furniture, and everything else you can think of. We have solutions for shipping all of your items. If you’re looking for a way to ship anything – from clothing to high value items – we’ll make sure we choose the right container. Our trained professionals will assess what type of packaging your items need, such as a large box or a full wood crate. The packing contains materials to make sure the items arrive wherever they are going domestically in one place! Lastly, our team packages items properly and with the utmost care and concern. As we mentioned above, we work hard to make sure that your shipping needs are handled. However, we also like to make our facility and services a “one stop shop!” That means that we take care of anything and everything in relation to your domestic shipping needs. We offer packaging services to ensure that once we do the shipping, your items will arrive where you want them to and all in one piece! Also, our extremely convenient pick up service allows us to come to your home or business and do the work for you. We follow through on each and every service. Our professionals utilize our experience to make the decisions best for your shipping needs. No matter how far within the country you’re moving or you need to send items to, we’re here for you. We offer a free consultation and quote to make sure that we are on the same page before we move forward. As our customers, we value your business and want to ensure the success and ease surrounding your shipping experience. Holiday season has officially begun. With the hectic holiday shopping that is taking place, the next stop is wrapping those gifts. Do you know how you’re going to deliver the gifts to their recipients this year? We offer all of our shipping services throughout the holiday season to ensure that your holiday shipping goes smoothly. No matter how near or far, we will make sure your gifts are safely shipped. Send your gifts with us this holiday season. We are able to pack and ship items large or small to deliver to your gift recipients worldwide. Have you been shopping around and found the perfect gifts? Maybe you found something as small as some beautiful jewelry. Perhaps the gift is a large framed photo or something fragile, like glass. Whatever it is, gifts are investments of your money and time. We make sure that when they’re shipped, they’re not put at risk of breaking. We make sure they arrive safely so you can treat your friends and family this holiday season. Simply wrap your gifts and let us do the rest. Next, we’ll handle the packaging and find the materials to keep your gifts as safe as possible. After that, we’ll handle all of the paperwork and any other details that come into play. We provide holiday shipping both internationally and domestically. We’ve got you covered if your loved ones live abroad! We are able to ship by air and sea. Our shipping services cover you from start to finish. We make sure that your gifts are delivered safely to your recipients. Sending things across the water can be such a fun surprise to receive, and we’re here to make that happen. If you can’t be with your loved ones on the holiday itself, ship your gifts with us. They’ll be there when you need. Your gifts can be delivered to family and friends within the United States for the holidays through our ground and air shipping services. Amidst the chaos of the holiday shipping season, we’ll give you the help you need. If you have larger items, we can come to you for pick up. For smaller items, bring them by our store. We’ll help you ship your gifts within the country to your loved ones. Avoid those other big-box shipping stores with lines out the door. The holiday season can be a hectic time for shipping as people everywhere are doing it. If you won’t be with family and friends for the holidays, ship their gifts to them. Give us a call today so we can help you every step of the way. Together, we’ll come up with a holiday shipping plan that works for you. You can give us a call at 301-762-3715 to set up a free consultation. Since the month of December has already begun, don’t wait too long to give us a call. To ensure holiday delivery, allow plenty of time for us to work together to get your shipping completed before the holidays come to an end. We look forward to helping you deliver all of your holiday gifts!